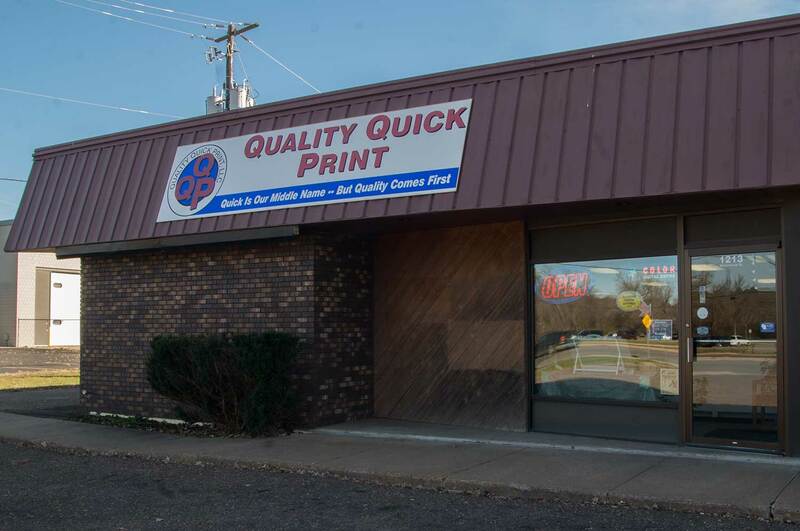 Quality Quick Print - Eau Claire, WI - Printing, Banners, Posters and More! We can take you from idea to finished product! Our design team is friendly, fast and knowledgeable. From paper, to posters, to banners, to shirts ... we do it all! Quality Quick Print is your wedding stationery HQ! Count on Quality Quick Print for mugs, t-shirts, buttons and other specialty printed items! Quality Quick Print is a family owned business of 40 years experience. We provide a wide array of printed products from simple office forms to booklets, posters, mailers and promotional items. Our shop offers walk-in copy service in color or black and white, in addition to quick lamination work. We can take you from idea to finished product too. Our design service is friendly, fast and knowledgeable. Just email or stop in with your ideas and we will get you set up. NOW is the time to order your Christmas and Holiday cards from Quality Quick Print! We make it easy to order online! CLICK HERE, make your selections and take care of your holiday cards for your family or business! Quality Quick Print provides a wide selection of heat transfer, screen print and embroidery options to fit your needs. We also offer many items that are perfect for that one of a kind gift. Photo puzzles, coffee mugs, mouse pads, can coolers. We are located at 1213 Menomonie Street, at the corner of Clairemont Avenue and Menomonie Street. Open Monday – Friday 8:00 – 5:00, with parking right at our front door. Quick Is Our Middle Name, But Quality Comes First!